“I was assigned the topic,” Dr. Pipa says, “but think it very useful for today’s Christian.” He listed his hopes for the conference as: “to simplify the process of decision making; help people be more practically committed to the sufficiency of scripture; help get rid of a voodoo approach to guidance; and help both parents and young people better appreciate the parental role, particularly in vocational and marriage decisions. Also to challenge young men to consider the call to ministry.”Dr. Pipa addressed attendees in three lectures: Scripture and Guidance, Providence and Guidance, and Practical Steps for Guidance. He also answered questions during a 45-minute session at the conclusion of the conference. Conference organizers have multiple goals for the annual conference. Southside Indianapolis RP Church began to plan its first Reformation Indy conference on “Balanced Christianity” in 2010, but at very short notice had the opportunity to host speaker and author Rev. Ted Donnelly (pastor of Trinity Reformed Presbyterian Church of Ireland and Professor of New Testament at the Reformed Theological College in Belfast). 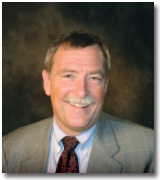 The 2011 conference emphasized “Reforming Missions” with speaker Rev. 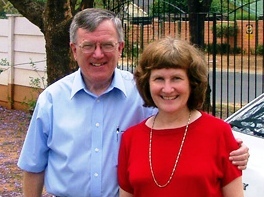 Steven Miller, former OPC missionary in Eritrea, now a pastor and Adjunct Professor of Missions at Reformed Presbyterian Theological Seminary in Pittsburgh. Southside Indianapolis RP Church consists of 220 members with an additional 30-40 adherents. The congregation began meeting in a member’s home in 1979 and has met on its current property for 28 years. In addition to Rev. Keddie, who is from Scotland, the congregation is served by Associate Pastor David Whitla, from Northern Ireland. Both are married to American women. The Keddies have three adult sons and anticipate the birth of their second grandchild. 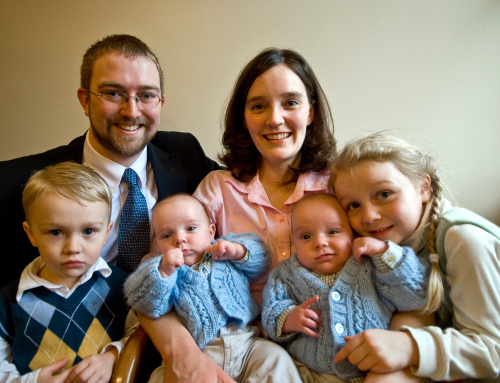 The Whitlas have four young children. The above article by Glenda Mathes appeared on page 14 of the April 11, 2012, issue of Christian Renewal. Nice piece by Glenda Mathes. Is there any audio recording of the conference? (page 2 of Reformed Presbyterian Church, Southside’s all sermons button). Glad you found the audio! Thanks for sharing that link.